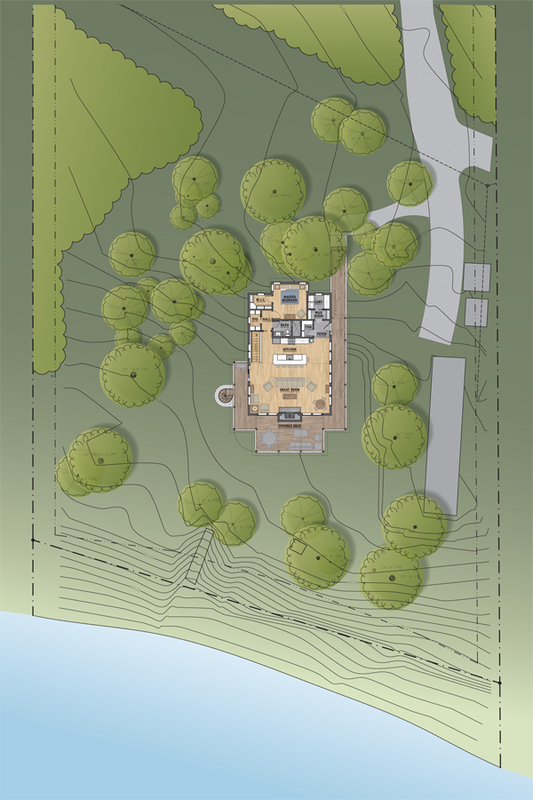 A contemporary cottage to be constructed overlooking a Michigan lake takes advantage of the natural beauty of its heavily wooded hillside location. 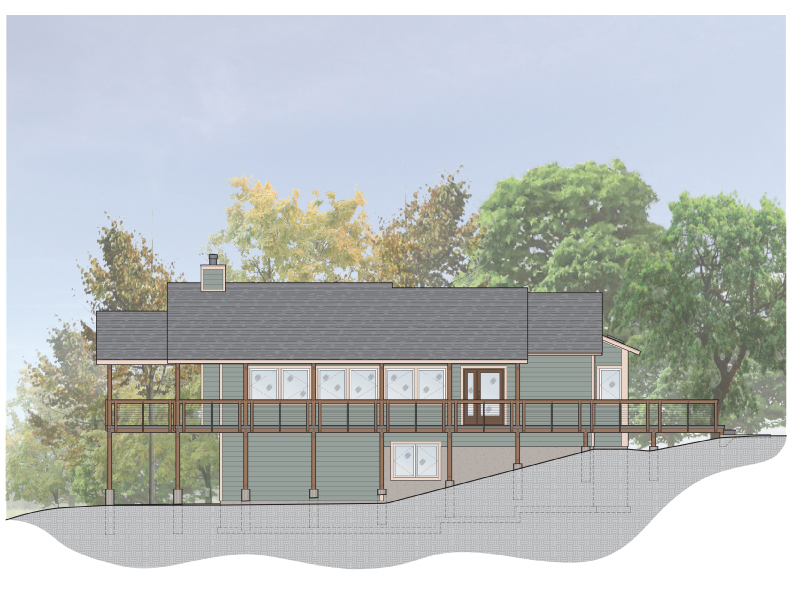 The cottage will feature windows and a deck on three sides looking out to the lake along the upper level great room and kitchen area. 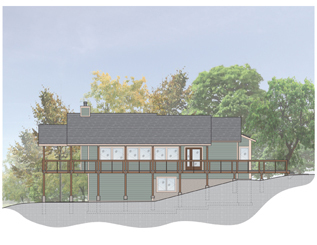 The upper level will also include a master bedroom, foyer, pantry, mudroom/laundry and bathroom. The lower level has two bedrooms, a bathroom, family room and storage/utility area. An interior stairway between the levels can be closed off so the owner can isolate the lower level when there are no guests. A split-zoned heating system will allow the owner to reduce the heat to the lower level when it is not occupied. Much of the three-sided deck is covered, with a cable-railing system to maintain the views from the hillside vantage point. The deck also includes an outdoor spiral staircase to easily access the yard without going through the house. The deck and deck roof structure are supported with exposed heavy timber beams. The painted fiber-cement siding and poly-ash trim provide a low-maintenance cladding with a natural wood appearance. 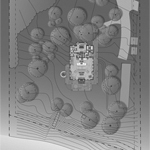 The house incorporates a super-insulated envelope to reduce energy consumption. It will also have a manual transfer switch to allow the connection for portable generator to provide essential electric service during a power failure.